The Natuzzi Group has created high-quality natural Italian leather furniture for more than 50 years. In 2008, the American Furniture Hall of Fame inducted the Natuzzi Group's chief stylist, Pasquale Natuzzi, into their racks of respected furniture designers. 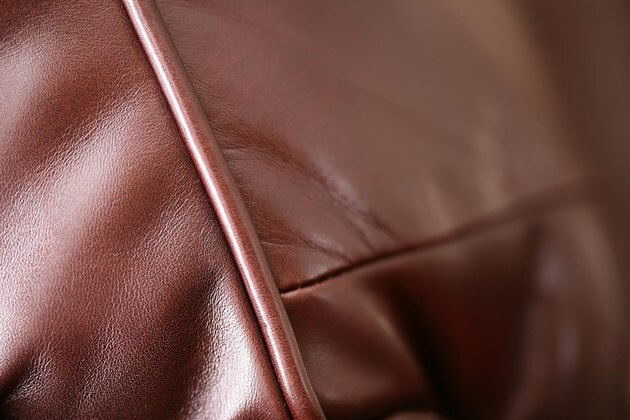 With the proper care, the Natuzzi leather will last for years. Lubricating the Natuzzi leather sofa with an approved leather conditioner will prolong the life of the leather furniture while keeping the hide from developing cracks. Leather is made from the hide of animals such as deer and cow. Dampen a lint-free cloth with lukewarm water. Wipe the surface dust and dirt gently off the leather with the damp cloth. Add several drops of leather conditioner to a clean microfiber cloth. Start at the top of the Natuzzi sofa and wipe the leather with the damp microfiber cloth. Continue wiping with the cloth while moving down the leather sofa until you have lubricated the entire surface. Wait five minutes before buffing the Natuzzi leather sofa with a clean, dry microfiber cloth. Start at the top of the furniture and buff the surface of the leather in a vigorous, back-and-forth motion while moving downward. Repeat the process twice a year or after a thorough cleaning to replenish moisture that the leather sofa looses after a cleaning process. What Is a Good Color Scheme for a Living Room With Burgundy Leather Sofa & Chairs?